Rafael Nadal was satisfied with how his new serve worked in a competitive environment after beating James Duckworth at the Australian Open on Monday. Nadal eased to a 6-4 6-3 7-5 victory over the Australian wildcard, who was aggressive throughout, in the first round at Melbourne Park. The Spaniard put his new serve to the test in a competitive match for the first time and was broken just twice in a dominant win. "My serve worked well. I don't know my percentage, but there were a lot of good positions after the first serve. I felt solid with the second," Nadal told a news conference. "And in general terms, I am happy about the victory of today against, as I said before, a very difficult opponent to play." 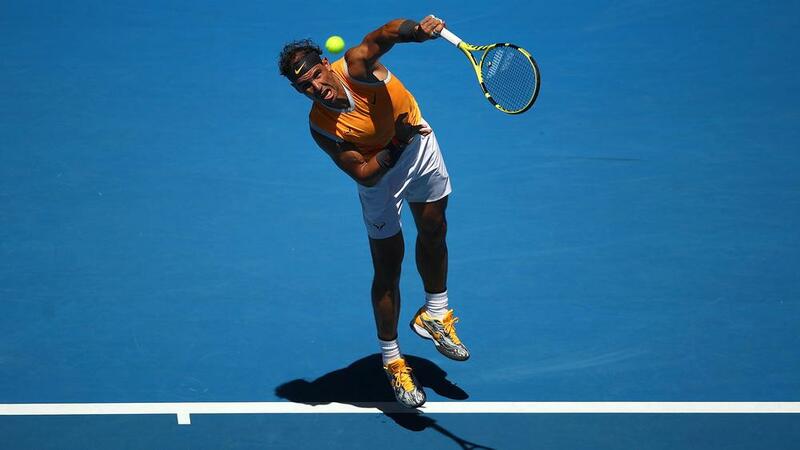 Nadal looked in impressive form in his first competitive match since the US Open in September. Asked about his fitness, he said: "It's normal that beginnings are tough, but every day helps and every day makes me feel better, makes me feel more confident. "So that's an important victory because it's the first victory in a while, and at the same time, because that gives me the chance to be on court again. "And that's what I need." Nadal will face either Matthew Ebden or Jan-Lennard Struff in the second round.